Renaldo Honda posts online lease specials that provide incredibly low monthly payments when you drive a new Honda. If you are interested in a new Accord, Civic, HR-V, or CR-V – there’s a good chance we’ve got a lease payment plan available that will save you money. Our leasing specialists at Renaldo Honda can go over all the options you have if you’re interested in leasing a new Honda vehicle. If you are interested in discussing leasing options with one of our associates, just contact us online or call the dealership at 704-288-4757. Leasing is the perfect solution to getting the new Honda you want with a low monthly payment that fits your budget! Leasing a new Honda offers certain advantages over a more traditional vehicle purchase. One of the most attractive benefits is the monthly payment amount. When you lease a vehicle, the monthly payments are often far lower than when you buy the car. This gives you the freedom to get a higher grade model than you would probably be able to afford than if you bought it. Leasing also gives you the freedom to pretty much walk away from the vehicle at the end of the term. This lack of a permanent ownership arrangement is very attractive to many car shoppers. Leasing terms are also usually shorter than purchase finance terms and that allows you to upgrade to newer models faster. Renaldo Honda offers a wide selection of new Honda vehicles available for leasing, so stop by our dealership today at 4421 East Dixon Blvd, Shelby, NC, 28152. If you have decided that leasing is the right option for you, then the next step is to call or come by our dealership. One of our leasing agents will contact you shortly after to discuss which new Honda you are interested in and what your options are. Leasing has become a more popular option for vehicle shoppers over the last few years and that’s why Renaldo Honda frequently posts online lease specials on our website. The low monthly payments are perfect for buyers who want to drive a new Honda car, truck, van or SUV and save a good deal of money in the process. 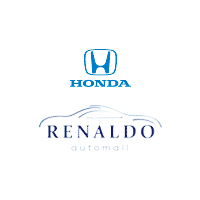 Even if you have less than perfect credit, Renaldo Honda could get you into a new Honda with a low monthly lease plan. Contact us online if you have any questions and we look forward to seeing you in a new Honda from Renaldo Honda!